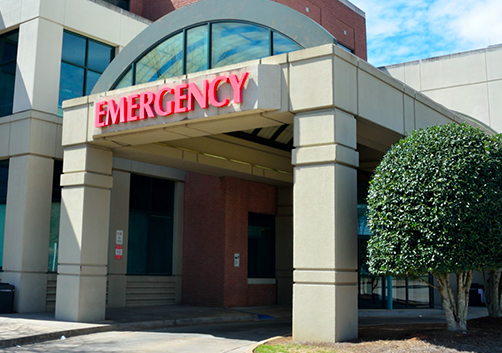 Emergency rooms are finding it difficult to keep up with demand, even with the steady growth in urgent care centers and freestanding Emergency Departments (ED’s). According to the article, 29% of the population lives within 10 minutes of an urgent care enter, suggesting that much of the population will continue to rely on EDs. We expect this demand to lead to investments in new (and renovated) EDs that offer express admissions, fast track on minor injuries, on premises lab, technology which shows entire team lab results and patient history and flexible treatment rooms. Healthcare Design explores this trend further in the article below. It’s not uncommon to walk through the emergency department (ED) of any hospital and find people waiting for treatment. The Centers for Medicare & Medicaid Services attributes the delay in treatment and overcrowding to several issues, including not enough staff to treat patients, lack of space, or inadequate coordination among hospital departments to move patients from the ED to an inpatient bed or other department. Between 2001 and 2008, hospitals closed nearly 198,000 inpatient beds, according to a 2013 research report, “The Evolving Role of Emergency Departments in the United States,” by the Rand Corporation. This happened as use of emergency departments grew at twice the rate of population growth, states the report. While it’s reasonable to think that the rising number of urgent care centers and retail clinics could alleviate some of this demand by treating patients with minor health concerns, it’s estimated that only 29 percent of the U.S. population lives within 10 minutes of one of these facilities, according to the article, “How Many Emergency Department Visits Could be Managed at Urgent Care Centers and Retail Clinics?” published in Health Affairs in September 2010.